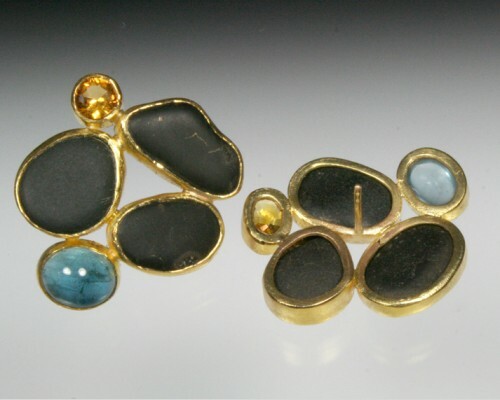 Small cluster of black basalts surrounded by mixed gemstones. 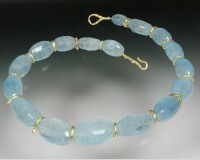 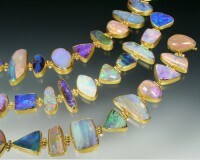 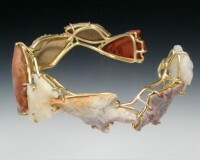 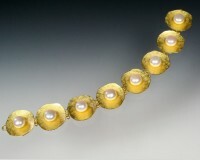 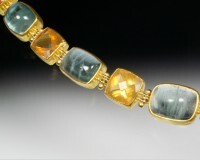 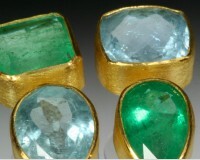 Shown here with citrines and aquamarines. 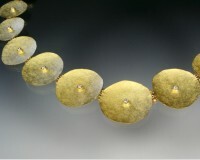 All set in 22K gold.